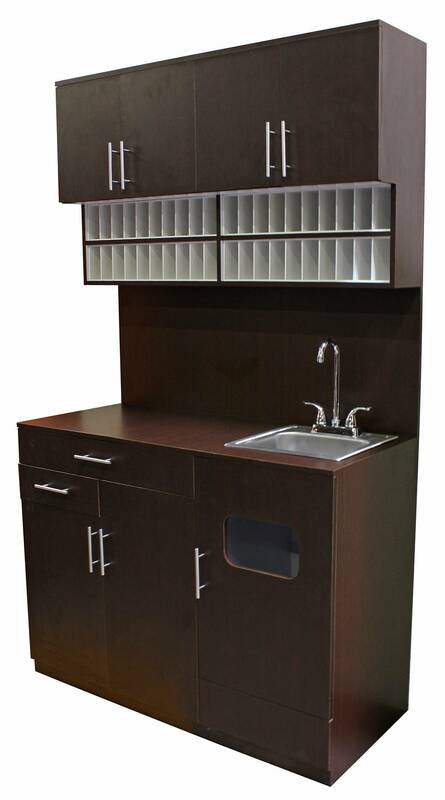 Color bar comes with a sink and features two upper cabinets, color storage slots, two drawers, two lower cabinets and dirty towel receptacle. 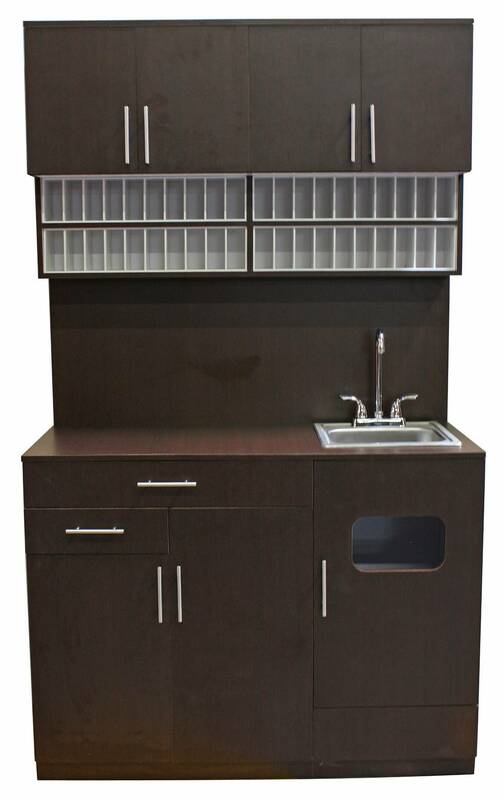 CCI's color bar with sink is great for any modern salon. This color bar has plenty of storage. 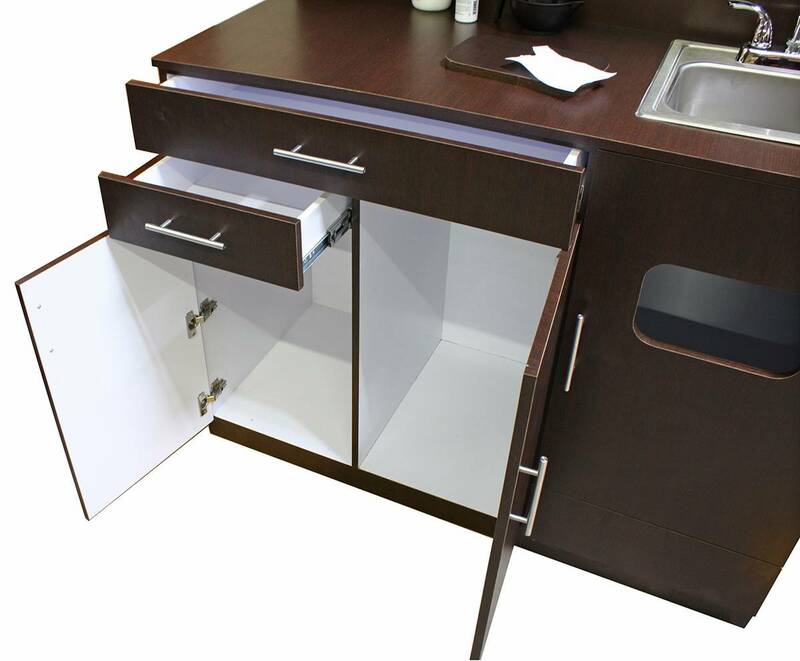 Featuring two storage cabinets on top, color storage slots, ample storage on the bottom, two drawers, and a dirty towel receptacle. 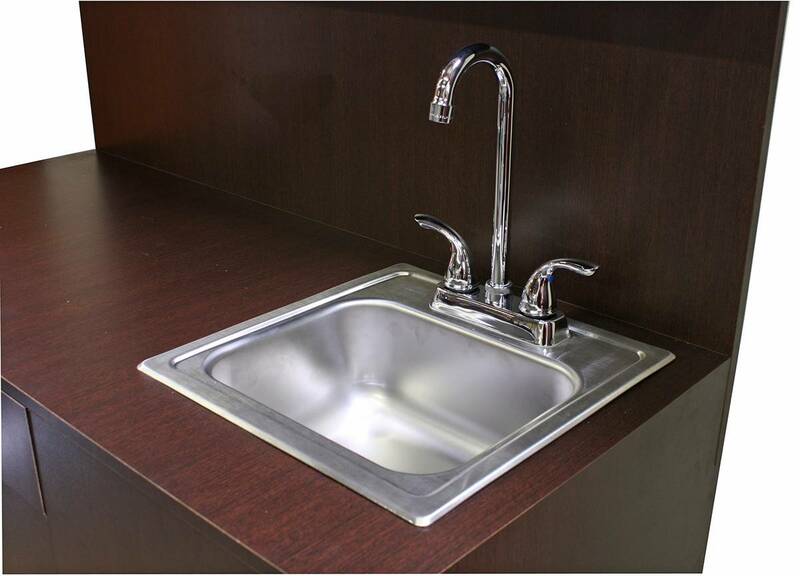 Sink included. 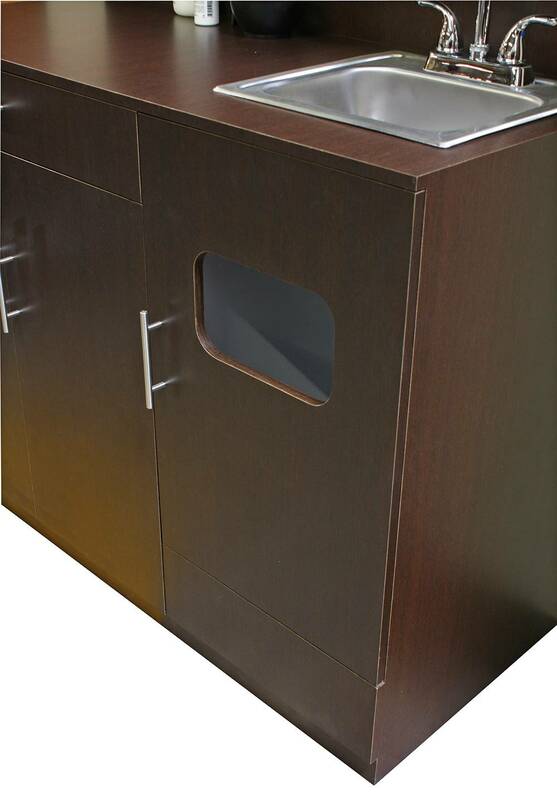 Available Color: Dark Wood and Black. Please select your choice. 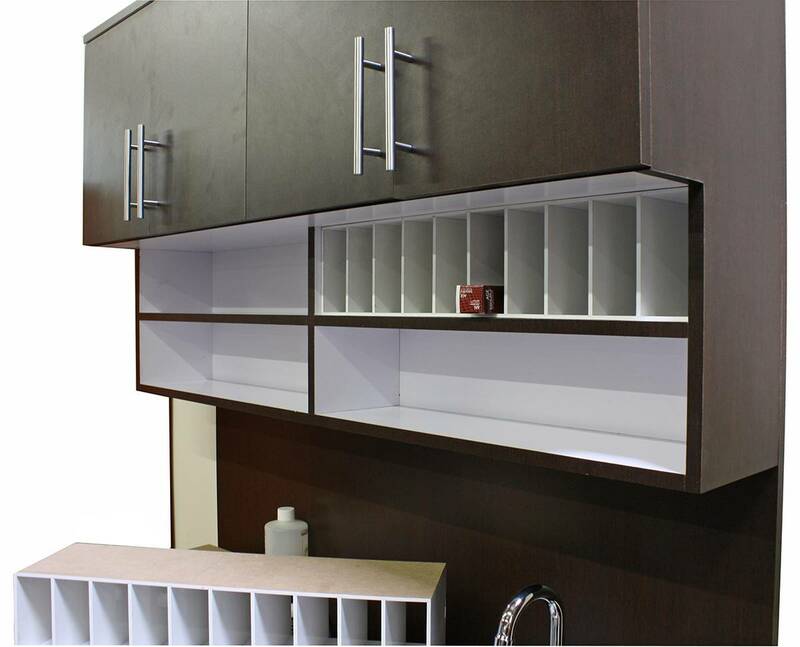 Dimensions: W x D x H: 47-3/4" x 21" x 81"
Top Cabinet WxDxH = 47-3/4" x 12-1/8" x 16-1/8""
Color Bar WxDxH = 47-3/4" x 7-3/4" x 11-1/8"
Bottom Cabinet WxDxH =47-3/4" x 21" x 36-1/8"